WGSigma Systems provides the industry’s only Big Data Application Server. Sigma enables companies to go beyond data analysis and enhance business applications making them “Cognitive” to operationalize Big Data in the real time flow of business. The Sigma server solves the problem of finding and applying insights from Big Data to directly change the behavior of existing business systems. Whereas most “Big Data” platforms enables offline analysis, Sigma goes further to discover and maintain holistic context, then take the appropriate action – all in real time. Wai Wong is president and chief executive officer of WGSigma Systems, offering the unique Sigma Big Data Application Server. Wong brings more than 30 years of executive leadership experience. Prior to founding WGSigma, he was President and CEO of SUMMUS Software. Previously, he was a strategic adviser to the senior executive management team at Amdocs on product and technology strategy and organization. 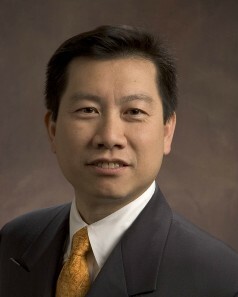 Before Amdocs, Wong served as executive vice president of products at BEA Systems, where he was responsible for industry-leading enterprise middleware products such as WebLogic, Tuxedo and JRockit, and for the creation of new and innovative product offerings for the SOA and telecom SDP markets such as the AquaLogic and WebLogic Communications Platform product lines. Wong also spent 16 years at Computer Associates (CA Technologies) in a variety of executive management positions including senior vice president and general manager of Unicenter solutions, senior vice president and general manager of worldwide services, and general manager of interBiz Solutions. Prior to CA, Wong held a variety of development and Research positions for Online Software International, Inc., IBM and Bell Communications Research. Wong holds Master's and Bachelor's degrees in computer science from Columbia University. CEOCFO: Mr. Wong, what is the vision for WGSigma Systems? Mr. Wong: We believe that we can help companies take data from many sources, bring them together, drive meaningful conclusions and take action independent of any specific logic that needs to be done inside each application. We believe that we can be the brain behind your entire application portfolio. CEOCFO: How does that differ from what is available in general today? Mr. Wong: Today what usually happens is that you have many analysis tools with Data Scientists using these data tools to look for patterns and new trends. These data scientists and analysts would give their feedback specifically into requirements for changes to your applications. That is the number one weakness in this methodology - Humans are involved. The time and opportunities from when an event occurs which generated the critical data pattern to when you are actually capable of taking action against those events via changed application logic are lost. Sometimes it is a week, other times it could be months for application changes. Another weakness in this traditional methodology is that the scenario of changing applications is not holistic. Most companies do not have the development resources to go change their entire application portfolio based on emerging data patterns, rather changes are isolated to specific apps that are deemed the most important within the budget available. Sigma allows a junction for the ability to act in a holistic way across all your applications. As an example, why should your IVR and your customer web portal not react the same way to the inbound customer? The reason is because these are disjointed systems. Even though a data pattern can affect each and every one of these systems, usually you only have resources to go after the most expedient one. In this scenario, Sigma provides a real time and common data connection between the applications. As the data patterns occur, we isolate the interpretation of what the pattern means inside our application server and will signal business applications to execute the appropriate logic. This avoids each application having to detect and often interpret each pattern independently. CEOCFO: Has this been tried in the past? CEOCFO: Who would be typical users of what you developed? Mr. Wong: It would be enterprises and enterprise application developers. Anybody who owns a portfolio of applications who wants to be able to react quickly to new data trends and patterns and lower their costs of taking action in real time. We have put together three solutions that involve taking Big Data and putting it into action. The three solutions are Construction Contract Risk, Multi-Channel Customer Engagement and IT Service Management. CEOCFO: How do people find out about you? Mr. Wong: We are new so you are one of the sources of how people are finding out. Mainly, our marketing and sales efforts are geared toward our channel partners who will bring us into opportunities. CEOCFO: How long has the product been available? Mr. Wong: This is oursecond generation product. We have been working on this technology for over four years. CEOCFO: What changed from the first version until now? Mr. Wong: The first version we built was for a purpose built customer engagement application specifically. This version is a generalized platform that supports multiple use cases as a set of common infrastructure services. CEOCFO: You have a long history working with data; what have you learned in previous experiences that has been helpful in putting the offering together as well as on the business side? Mr. Wong: I was the Chief Product officer of BEA, which was the number one middleware company in application servers and platforms. The Information Technology industry has evolved in cycles. The current cycle has a data explosion problem. Data is ubiquitous and pervasive. From my experience, the formalization and the logical separation of the various processing layers will happen. I believe that in the Big Data area, that is about to occur. CEOCFO: Are you funded for the rollout that you would like? Mr. Wong: We are funded by several private parties. We are currently looking for additional funding. Like all companies that are this age, I am sure that we will always be looking for funding. We have some really good prospects and partners so it is a matter of getting the plan done with the funding we already have. With additional funding we could do it even faster. CEOCFO: When you present the concept to people who should be interested, do they understand immediately? Is it clear what the difference is? Mr. Wong: I think that people certainly get the solution. To the right audience, generally CPO’s and senior business people, they do get it. It is a matter of costs savings and the need for rapid reaction and integration to support the business. The traditional method is offline and takes a lot of time to do. We offer a very real time way of connecting the data together so that the applications and the developers can be optimized further. CEOCFO: Will you be licensing this software? What will be the business model? Mr. Wong: The business model is a license model. It is very similar to the licensing model for application middleware. We can do cloud as well as on premise license models. The cloud is calculated on usage and on premise is a per-core basis. CEOCFO: Why pay attention today to WGSigma systems? Mr. Wong: A trend is that more and more money is being spent on how to take all of the data that is out there and make it business effective. We believe we do that at a significantly lower man power cost and significantly faster action cycle than what is possible with traditional methods.